The interview “Five Questions about CSR Metrics” with Bahar Gidwani, Co-founder and CEO, CSRHub, New York, New York, United States of America, is part of a monthly interview series published by Geoffrey Mazullo, Principal, Emerging Markets ESG. It was originally published on Emerging Markets ESG on Monday, February 4, 2013 and is republished here with the permission of Emerging Markets ESG. On the first Monday of each month Emerging Markets ESG publishes a special interview with an academic, expert or practitioner about a specific topic with relevance to environmental, social and/or governance (ESG) issues. This month’s interview, the 11th in the special interview series, is about corporate social responsibility (CSR) metrics and is with Bahar Gidwani, Co-founder and CEO, CSRHub, New York, New York, United States of America. CSRHub provides access to corporate social responsibility and sustainability ratings and information on 6,700 companies from 135 industries in 82 countries. 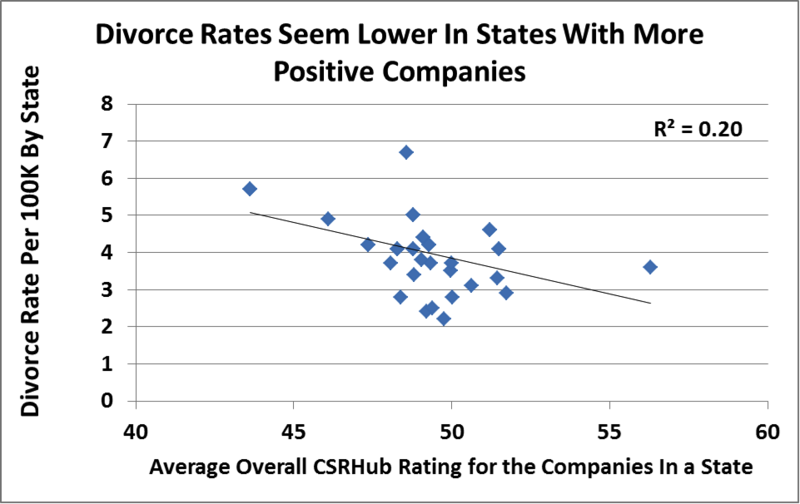 Managers, researchers and activists use CSRHub to benchmark company performance, learn how stakeholders evaluate company CSR practices and seek ways to change the world. CSRHub rates 12 indicators of employee, environment, community and governance performance and flags many special issues. It offers subscribers immediate access to millions of detailed data points from our 200 data sources. Our data comes from nine socially responsible investing research firms, well-known indices, publications, “best of” or “worst of” lists, non-governmental organizations (NGOs), crowd sources and government agencies. By aggregating and normalizing the information from these sources, CSRHub has created a broad, consistent rating system and a searchable database that links each rating point back to its source. CSRHub is a B Corporation, an Organizational Stakeholder (OS) with the Global Reporting Initiative (GRI), a silver partner with Carbon Disclosure Project (CDP), and supports both the Global Initiative for Sustainability Ratings (GISR) and the International Integrated Reporting Committee (IIRC). Bahar Gidwani is Co-founder and CEO of CSRHub. He serves on the Sustainability Accounting Standards Board (SASB) Advisory Board. Bahar Gidwani was CEO of New York-based Index Stock Imagery, Inc, from 1991 through its sale in 2006. He has built and run large technology-based businesses, and has experience building a multi-million visitor website. Bahar holds a CFA, worked on Wall Street with Kidder, Peabody, and with McKinsey & Co. Bahar has consulted to a number of major companies and currently serves on the board of several software and Web companies. He has an MBA from Harvard Business School. Bahar is based in New York City. Emerging Markets ESG: What are CSR metrics? 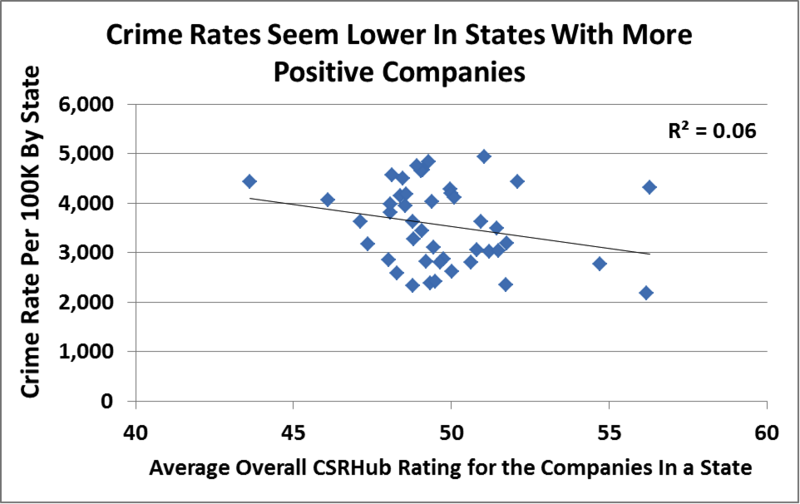 Bahar Gidwani: The CSRHub Corporate Social Responsibility (CSR) metrics allow corporate managers to understand how their company is performing socially relative to other companies in the same industry or geography. By giving managers “benchmarks”, we allow them to discover the strengths and weaknesses in their company’s sustainability-related policies and practices. Our metrics assure CSR area managers that they can promote and publicize the things their companies are doing well. They also indicate which other companies the manager could approach for guidance on “best practices” for CSR-related issues. And, they allow both CSR professionals and outside stakeholders to track a company’s performance, over time. By providing broad, consistent, third-party data on performance, metrics allow CSR professionals and their stakeholders to “agree on the facts” and then focus their discussion on the actions needed to improve sustainability performance. Emerging Markets ESG: Over the past five years, the financial industry has accepted the acronym ESG (environmental, social and governance) to describe the three groups of extra-financial factors that influence corporate performance. Do you agree with the ESG taxonomy? Bahar Gidwani: We studied 14 taxonomies at the start of our project, five years ago. We looked for common themes and approaches and sought ways in which they could be coordinated and combined. We elected to use four main pillars: Community, Employees, Environment and Governance instead of the three in ESG (Environment, Social and Governance). It seems to us that we have enough data to provide solid support for four pillars instead of three. However, our data suggests that the three pillar ESG model is also reasonable. Emerging Markets ESG: Could you please list the 12 indicators of employee, environment, community and governance performance CSR Hub rates. Community: (1) Human Rights and Supply Chain, (2) Product, and (3) Community Development and Philanthropy. Employees: (1) Diversity and Labor Rights, (2) Compensation and Benefits, and (3) Training, Health and Safety. Governance: (1) Board, (2) Transparency and Reporting, and (3) Leadership Ethics. Environment: (1) Environment Policy and Reporting, (2) Resource Management, and (3) Energy and Climate Change. See a detailed description of each of the categories at CSRHub’s Data Schema. Emerging Markets ESG: CSRHub uses more than 200 data sources. Is there a common thread among the data these sources provide or are the data points heterogeneous? Bahar Gidwani: We work with a wide range of sources. This is consistent with our goal to get a “360 degree view” of a company’s performance. The table above shows input from an investor perspective (Wall Street-related, stock indices), an activist perspective (not-for profit), an expert view (business advisor and consultancies), and representatives of the public (for-profit businesses, government and publications). 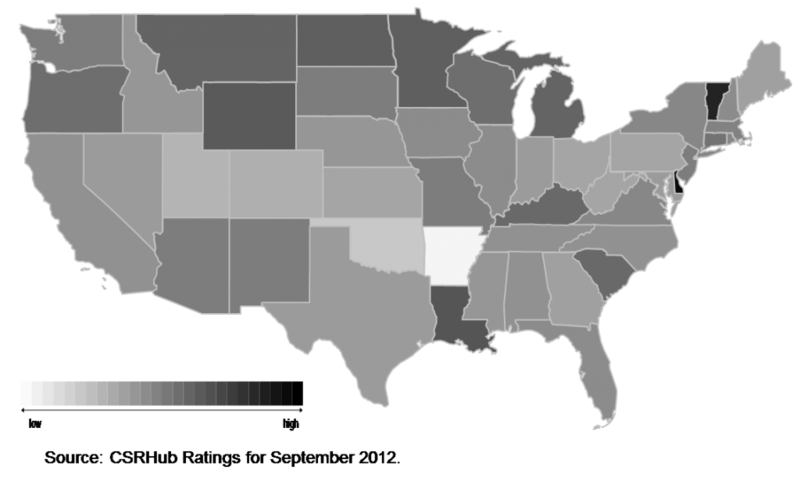 Original data that relates to a sustainability issue (generated and developed by the source and not just re-reported). Coverage of a number of companies—enough that we can compare the offered data against the information we get from other sources. Via this comparison, we are able to map the data properly into our schema, normalize the data values to remove bias, and properly weight it. Updated at least annually. We seek to track company change—and to provide a feedback loop that will encourage companies to improve. Company-level. Many sources offer data on products, buildings, or the performance of CEOs, CFOs, etc. We are interested in company-level ratings. 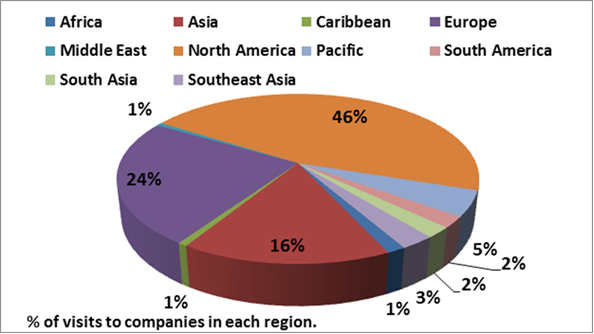 Emerging Markets ESG: Which percentage of the 6,700 companies CSRHub covers are in emerging markets? Is interest in ESG analysis of emerging market companies growing? Bahar Gidwani: We currently cover 82 countries. If you look at our coverage regionally, you will see that more than 33% of the companies we cover are outside of Europe and North America. As you can see, 28% of our visitors come from the developing world. As we expand our coverage to include more small companies, private companies, and organizations, we expect to add even more data from outside the developed world. We hope this will allow us to continue to get strong participation from users outside of North America and Europe. Geoffrey Mazullo is Principal of Emerging Markets ESG and Adjunct Professor at the School of American Law (SAL) in Gdansk and in Wroclaw, Poland. Following studies of diplomacy, economics and political science, Mr. Mazullo worked as a corporate governance analyst. He also worked on several donor-funded capital market development and corporate governance projects. He directed the Partners for Financial Stability (PFS) Program, a regional financial sector development program. Since 2006 Mr. Mazullo is chair of the evaluation committee of the NASDAQ OMX Baltic Market Awards. He publishes a weekly expert interview, “Five Questions about SRI” and a monthly special interview on a topic of current interest in environmental, social and governance (ESG) reporting about/in emerging markets. He holds a BSFS from Georgetown University and a M.Sc. from the London School of Economics and Political Science.